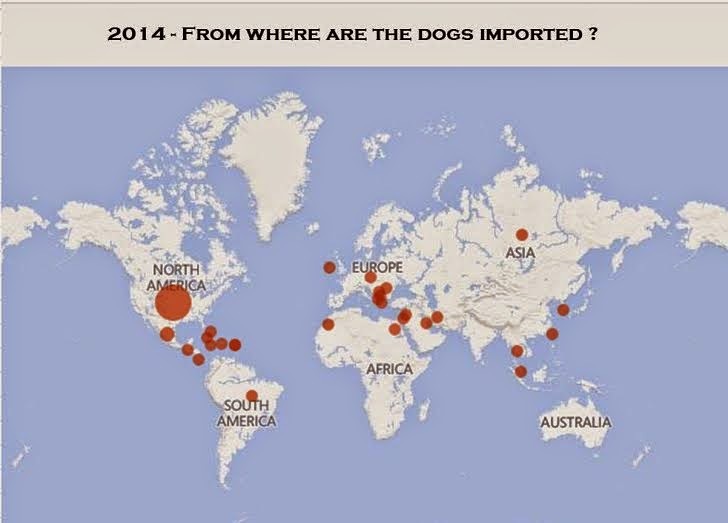 Toronto Dogs Directory: When Will Unscrupulous "Rescues" Stop Mass Imports Of Dogs Into Canada? 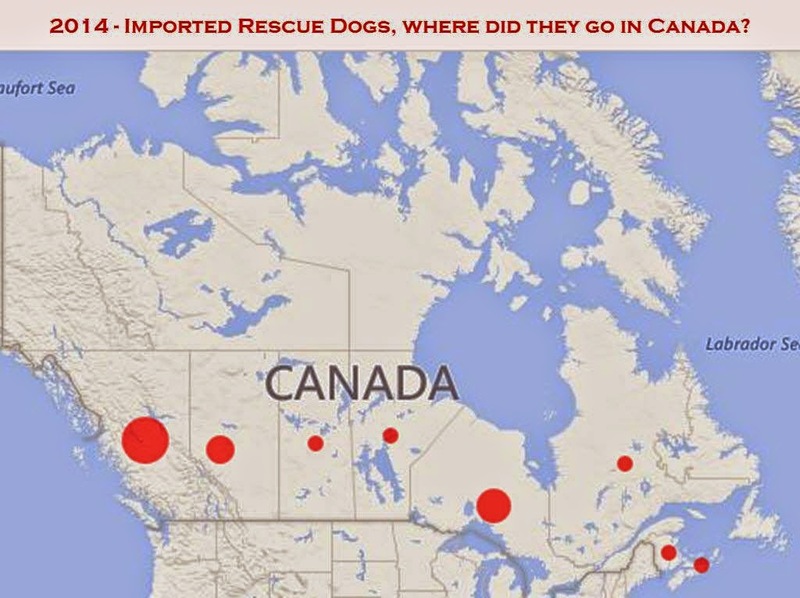 When Will Unscrupulous "Rescues" Stop Mass Imports Of Dogs Into Canada? I am noticing a disturbing trend in rescuers and individuals importing sick dogs into Canada and in rescuers teaching others how to do this in unscrupulous ways to avoid the already too lax CFIA requirements. This has to stop. As taxpayers, we all pay for the infrastructure that supports our interests as a society. A very large portion of our provincial and federal tax money is allocated to keeping Canadians healthy and our communities safe. So, for example, when we have sick dogs in Northern communities, any money spent trying to improve the health and welfare of those animals is part of a holistic multi-agency solution to improve the public health and safety of those communities. The same level of attention and care is not being paid with regard to dogs that are imported into Canada. I have to wonder how people would react if the same laxity in legislation existed for agricultural livestock. Imagine someone on vacation somewhere 'falling in love' with a beautiful baby calf that was being neglected. They make arrangements to have a local vet do a cursory exam and give the animal a 'clean bill of health'. The calf is transported to Canada and subsequently spreads Brucellosis or BSE through Canadian herds. Imagine the outcry when the food supply and people's livelihoods are put at risk because of one person's bleeding heart? Now, imagine the risk to Canadian dogs when sick dogs enter our country. Even worse, imagine the risk to Canadians - especially, our children and the vulnerable - when these disease can cross the animal/human barrier. This past January, the Ontario Veterinary College asked our group to provide statistics for a risk assessment on dog importation to Canada in 2014. Our assessment, aptly named "The Tip of the Iceberg", was performed by four volunteers scanning Facebook news feeds. In the volunteer hours allotted, they recorded a stunning total of 6222 imported dogs. This figure included only a few Canadian rescue organizations. It did not include humane societies nor individuals importing rescued dogs. As a result, it isn’t a stretch to project that over 10,000 dogs were imported to Canada last year. The data for the first two months of this year show that 2015 is shaping up to be a bumper year for dog importation. The fact that we have long had import rescuers, who have met and often exceeded CFIA requirements, is the only reason we haven’t seen an outbreak of something dreadful in the past. But that’s changing now. When people responsibly bring in a dog or two from outside of Canada, we can view it as an act of compassion, something out of the ordinary that, as a society, we may deem an acceptable and minimal risk to the infrastructure we pay to keep in place. But when people start a torrent of unscrupulous importation, it puts a tremendous strain on that infrastructure. (That's why it's always better to operate in the country of origin and help locally rather than bringing the animals here en masse). And where does the responsibility fall when the importers abdicate their duty to those animals? It falls to provincial public health agencies, animal services, SPCAs and HSs. It is a fiscal burden to us all as taxpayers. It is a burden to donors whose money is being used to help dogs brought in under less-than-transparent circumstances while those in our own communities go unassisted. How can we justify this to them? That's why there is legislation in place to minimize the risk to domestic agricultural animals. Now, if only we could do the same for companion animals. And, just as importantly, play by the rules.